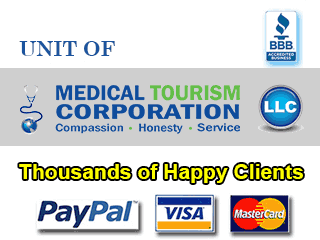 You must agree to the terms and conditions of AlgodonesDentalCenter.com before proceeding with using the website. Your using the website conveys the acknowledgement that you have read, understood and agreed to the terms and conditions statement. In case you disagree being bound by this statement, you must stop using the website by all means. Algodones Dental Center holds the sole right to alter this statement by making changes online and publishing the same on this page. You are advised to re-visit this page for revisions. The day of making changes is reflected by the date given at the bottom of the page. Continuing access to the website is an implied acknowledgement of your acceptance of this statement. We are facilitators of travel, treatment, and other related services for clients visiting Algodones Dental Center for dental work. 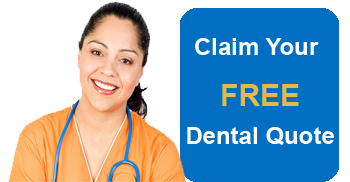 We are not dental care providers, referrers or advisors. The entire website content (in the form of text, logos, animations, videos, images, illustrations, scripts, and audio) is the property of the website protected by copyrights, trademarks, patents, trade secrets, and other intellectual property right laws. Algodones Dental Center allows for downloading, storing, and printing of its content only for personal, non-commercial use. Reproduction of any its content is not allowed without the prior written consent of Algodones Dental Center or any other third party with the right to allow it to grant permission for using its copyright. The third-party links on the website are provided only for your convenience. We do not endorse or recommend the content on these third party links. Accessing these links would mean leaving our website and we are not responsible for the content on these websites. Your using these websites will be subject to their terms and conditions of usage. The decision to access these third party links on our websites is solely at your own risk. Algodones Dental Center puts in reasonable efforts to ensure the accuracy of information given on the website at the time it is published. However, we do not warrant or make any representations regarding the accuracy of the content. There may be some technical inaccuracies, typographical errors or the information may not be up-to-date at the time of your access. No liability is accepted for errors of omission or commission, or our failure to update content on the website. The website content has not undergone review or approval by a dental/medical professional. Neither has the website content been compiled by dental/medical professionals or is based on their feedback. Any decision you make based on our content would be your own responsibility. Though we put in reasonable efforts to upgrade third party-provided content (from airlines, hotels, hospitals, etc. ), we are not responsible for its accuracy. Your website access may be suspended or terminated by Algodones Dental Center at any point of time for any or no reasons at all. Using this website implies your agreeing to exclusive jurisdiction for any disputes with us residing with the courts of Texas. You also agree to and expressly give consent to exercising personal jurisdiction in the courts of the State of Texas related to any such dispute including any claim involving our employees or officers.